Prairie Place Complex is located at 706 Balmoral Avenue. For any information on the hall or the rink please call the Town Office at 455-2212. 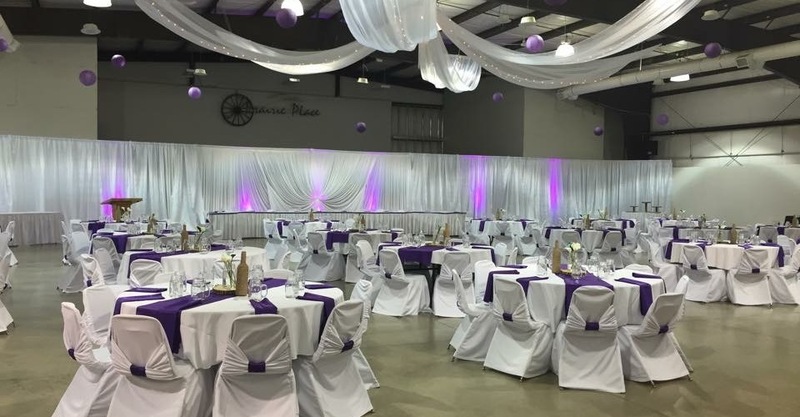 Arcola boasts one of the nicest event centres in southeast Saskatchewan. Prairie Place Complex is home to a hall that seats 450, a skating rink and three-sheet curling rink. Please use the booking calendar at the bottom of this page to check hall availability or submit a booking request. In the calendar, a light blue box means the hall is reserved, pending approval. A dark blue box means the hall is booked that day. To submit a booking request please fill out the form at the bottom of this page. NOTE: Submitting an electronic request here does not guarantee a hall booking. You must complete the following forms and submit them to the Town Office with your payment and be granted approval before finalizing your booking. If you do not get a reply from the Town Office within one week of submitting your booking request, please call them at 455-2212. If you prefer not to use the electronic booking form, you can simply fill out the forms below and submit them in person to the Town Office.